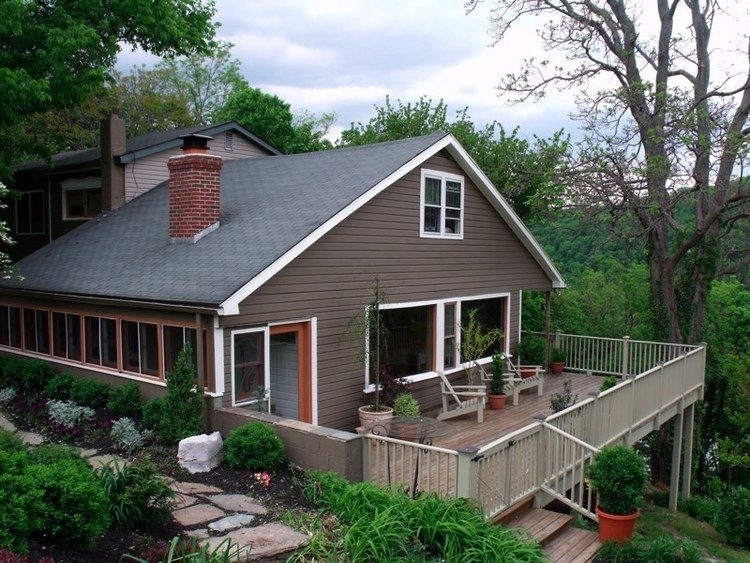 Ledge House B&B sits atop the historic town of Harpers Ferry overlooking the Potomac and Shenandoah Rivers as well as the Chesapeake and Ohio Canal. A gourmet breakfast is prepared with fresh ingredients daily, and served with a view. The inn is within walking distance of points of interest in the Harpers Ferry National Historic Park, as well as the Appalachian Trail (hiking), the C&O Canal (biking and walking), and the Shenandoah and Potomac Rivers (rafting). No pets or children under 12.